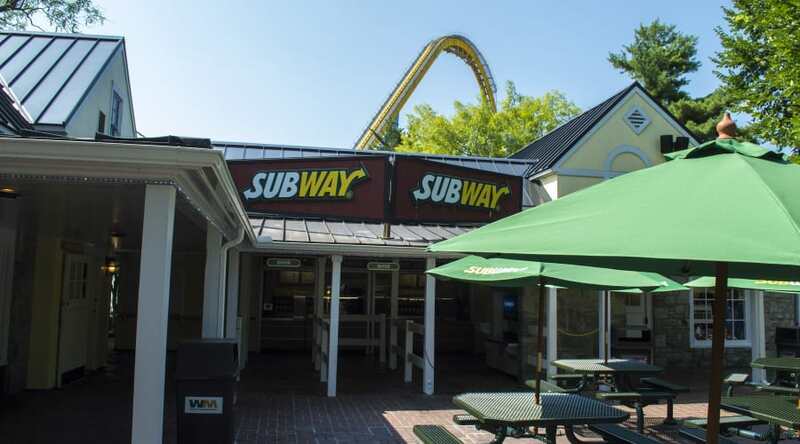 Eat Fresh at our Founder's Way℠ Subway location! Sandwiches and salads are available! SUBWAY CLUB® MEATS - Turkey Breast, Ham, & Roast Beef TURKEY BREAST - Turkey breast, turkey broth, contains 2% or less of: carrageenan, dextrose, modified food starch (derived from corn), salt, seasoned salt (salt, sodium diacetate, flavoring), sodium lactate, sodium phosphate. * Browned in soybean oil. HAM - Ham cured with: water, dextrose, salt, potassium lactate, modified food starch (derived from corn), sodium phosphates, sodium diacetate, sodium erythorbate, smoke flavoring, sodium nitrite. ROAST BEEF - Beef eye round or top round, water, dextrose, salt, sodium tripolyphosphate, onion powder, garlic powder. Coated with caramel color.